* Hot* Kellogg’s Cereal and Milk Deal! We have a screaming deal alert people!! Kellogg’s Cereal on the cheap/money maker! = a Happy Coupon Shopper + an amazing deal! If you did the Frosted Flakes scenario 4 times you would pay zero, have 4 Gallons of Milk and get back a $10 Pre-Paid Mastercard via the Kellogg’s Feul Rebate. (You would need access to a bunch of computers though, so start hitting up all your friends and family for their coupons…) = $10 money maker!! If you did this scenario two times, Pay $8.04, have 4 gallons of milk and get a $10 pre-paid card back. = still a $2.00 Money Maker!! If you did the 6-box scenario deal 9 times you would have 50 boxes of cereal, end up paying $36.18 – have 18 gallons of free milk and get back $50 in pre-paid gift card via mail in rebate. = $13.82 money maker!! Breyers Ice Cream B1G2 FREE! = as low as $1.25 (or $2.00/4 with 3 doulbers = .50 each!) Thanks Korrie! There is also a Procter & Gamble Promo – but it doesnt look very good. If I find a cool scenario I will update this post later on in the week. 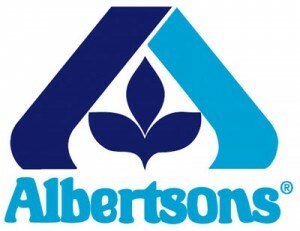 Happy shopping at Albertsons this week!! hmmm…I’ll have to try registering but now when I click the links it says that offer is no longer available… oh well. Thanks for all you do…love your Alberstons posts. There is a coupon buy 5 get one free in the (Safeway Frozen Foods Coupon Book). However, I don’t know if Albertson’s will accept it due to the “FREE”?